A good night’s sleep is important to your overall health. Study after study has found a link between insufficient sleep and some serious health problems, such as heart disease, heart attacks, diabetes, and obesity. Subscribe to my blog | Follow me on Bloglovin | Instagram | Pinterest | Twitter | Facebook Not getting sleep is exhausting, frustrating and can affect your overall health. I generally have no problems falling asleep or staying asleep. However, when I travel my routine gets messed up and finding a good night sleep can be elusive. On my last trip to California I had a hard time falling asleep mostly because of the time change. And because I keep a schedule when it comes to when I go to bed and wake up, and after a few nights of this I was starting to have a hard time making it though the day without feeling exhausted. I tried out Emergen-Zzzz® which is dietary supplement that helps you fall asleep naturally* hoping it would help me get some sleep. (You may be familiar with the sister product Emergen-C.) I combined a packet of EMERGEN‐Zzzz with some warm water and would drink it right before I was about to go to bed. 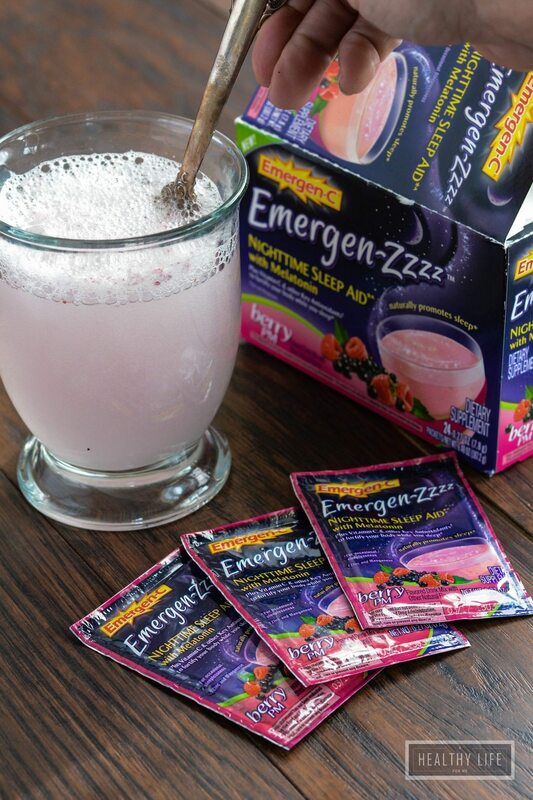 EMERGEN‐Zzzz has 3 mg of Melatonin to help you fall asleep naturally. * If you have never heard of Melatonin, it is a hormone made by the pineal gland in the brain, and is considered a hormone of darkness that is linked to sleep and wake cycles. It can help you with occasional sleeplessness to provide you with more healthy nights for more healthy days. To help you get a good night sleep I am sharing my 9 tips for better sleep. 2. Don’t go to bed either hungry or stuffed. Your discomfort might keep you up. Also limit how much you drink before bed, to prevent disruptive middle-of-the-night trips to the toilet. Do the same things each night to tell your body it’s time to wind down. Relaxing activities can promote better sleep by easing the transition between wakefulness and drowsiness. Create a room that’s ideal for sleeping. This means cool, dark and quiet. Consider using room-darkening shades, earplugs, and set your thermostat at somewhere around 65 degrees. Regular exercise can promote better sleep, helping you to fall asleep faster and to enjoy deeper sleep. When you have too much to do and too much to think about your brain may have a hard time shutting down. Try relaxation techniques such as meditation, yoga, music and deep breathing exercises. 7. Turn off the computer and television. The stimulating effects of caffeine take hours to wear off and can wreak havoc on quality sleep. 9. Invest in a comfortable pillow and mattress. Your mattress and pillow can contribute to better sleep, too. Since the features of good bedding are subjective, choose what feels most comfortable to you. I am participating in a sponsored campaign hosted by Emergen-C. I received compensation for this post. 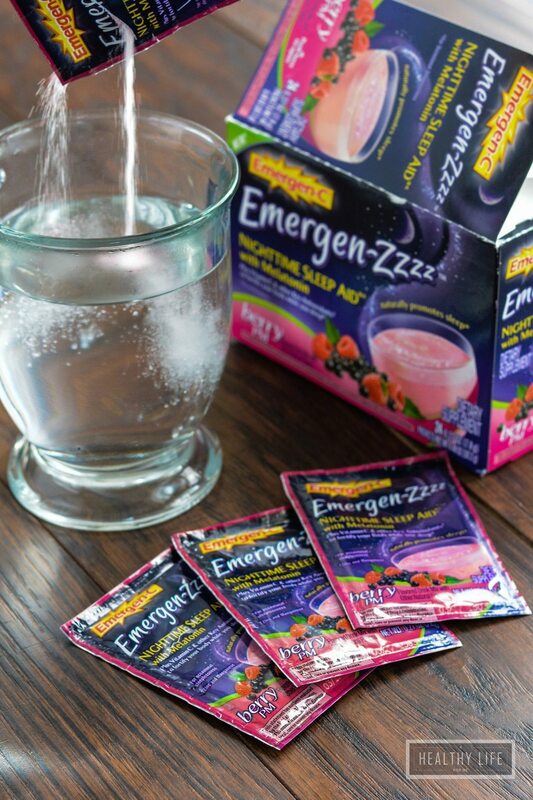 While all opinions stated are my own, I make no claims about Emergen-Zzzz® as a product or its effectiveness.